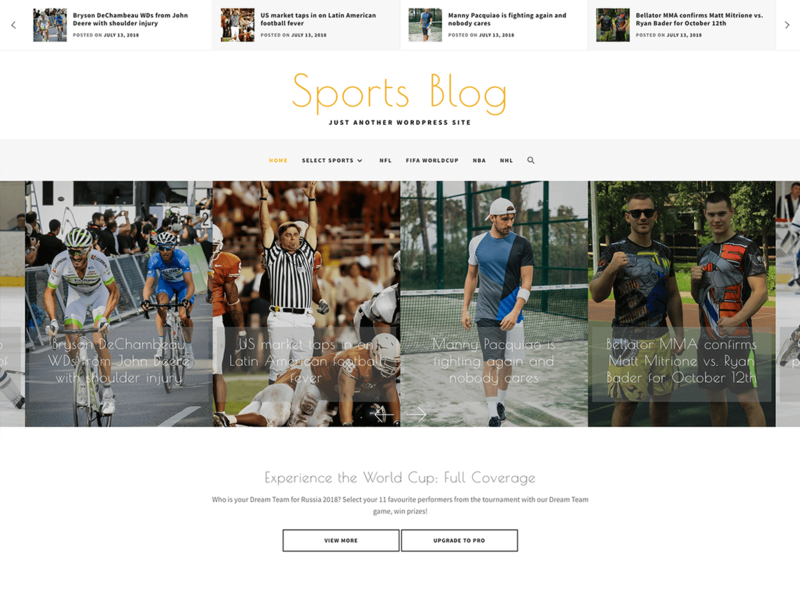 Sports Blog is a clean modern WordPress Blog theme, carefully designed to help you create extraordinary blog sites very easily, featuring a large number of different styles and options. The theme offers a great user experience for almost any need and is extremely easy customizable. Every section and element is designed with simplicity and details in mind, and well-tailored to match your own taste. Sports Blog is also 100% responsive, that means it fits with all different kind of devices of different sizes.